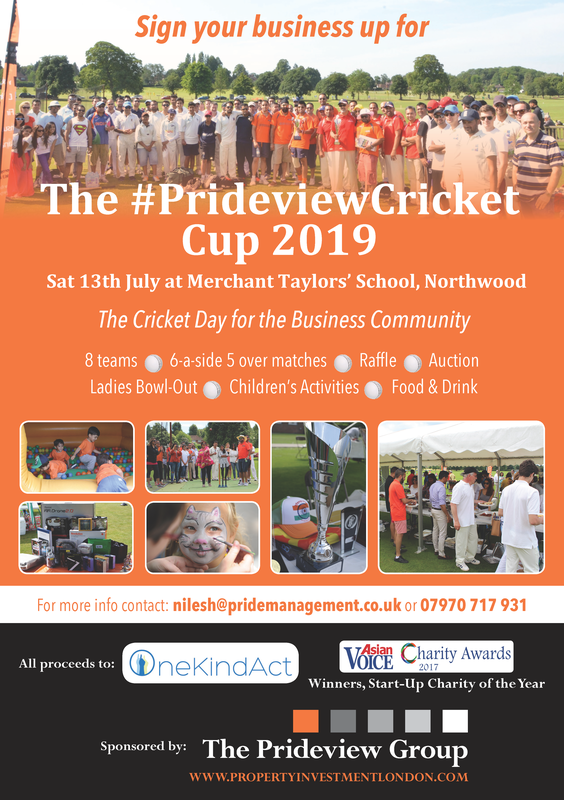 The 8th edition of The #PrideviewCricket Cup, commercial property’s biggest cricket tournament, will be taking place on Saturday 13th July at Merchant Taylors’ School in Northwood, Greater London. Every penny of the money you donate will go to One Kind Act, a small, UK-based charity dedicated to alleviating poverty and disability in developing nations. 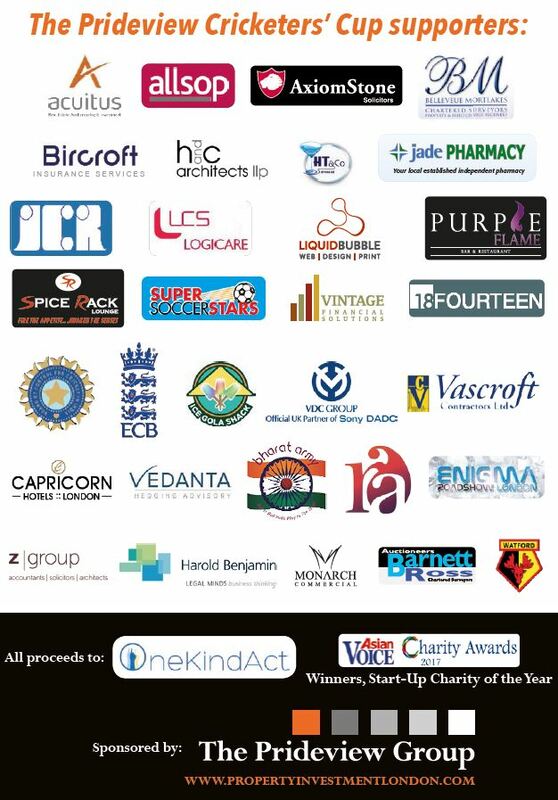 Last year we raised £21,778 which was used to support 3 worthy projects, ranging from providing education and funding to a school of 800 children, supporting medical teams from the UK in performing life-saving heart operations on children and introducing solar power to villages in India. Click here to read more details about how the funds were put to use. So, to get involved this year, you can do one or more of the following. Remember, everything donated goes to charity. The format is simple, inclusive and fun: with 12 teams, 6-a-side cricket, 5 overs each way but only 1 Champion – and all for a great cause! Last year Axiom Stone won the cup and knocked Jade Pharmacy from winning again – you can read the full report here. We are looking for £650 per team (or £900 with an A5 brochure ad) – lunch, drinks, tea for up to 20 people, and goody bags for players are included! For sponsors, we will publish your company’s details and profile in our glossy tournament programme (click here to view last year’s) which will be circulated to our substantial network of property investors and professionals and also handed out on the day – we are looking for a minimum donation of £350 for an A5 ‘advert’ in this or £100 for a well-wisher message, and just to clarify all of this money will go to charity. Spectators are most welcome; anyone wishing to eat or drink during the day will be required to donate £20 in exchange for a refreshments’ wristband. Children under 12 are excluded from this. – For any Ladies who don’t want to play in the main event, there will be a Ladies Bowl-Out, with a nice prize up for grabs for the winner! – We will also have some local businesses showcasing their products on market stalls, to promote your business in this way, a min. donation of £50 is required. Please can you register directly on our Eventbrite page above, to reserve your place. Hina will contact you via email to give you One Kind Act’s bank detail to make payment. For more information contact hina@pridemanagement.co.uk or call 0203 113 2140.